Get instant access to your account information online, or on-the-go with the TD Ameritrade mobile app. Stay informed on the status of requests and securely approve transactions. Keep your contact information up to date so you can be notified. Conveniently deposit checks with a click of the camera on your phone or tablet. * You must be listed as the account owner to enroll in electronic delivery. You may also be eligible for lower electronic equity trade commissions if you enroll in electronic delivery. 1. Receive prefilled electronic versions of the account opening forms via a secure website. 2. Electronically complete any missing information on the forms. 3. Electronically sign the forms, which populates the account opening platform and automatically sends the electronic forms to TD Ameritrade Institutional to officially open the account. 1. Obtain paper-based account opening forms from your advisor either via mail or by setting up an in-person meeting with your advisor. 2. Complete the required information on the forms. 3. Return forms to your advisor either via mail or by setting up an in-person meeting with your advisor. 4. Advisor manually types the information into the account opening platform. 5. Advisor mails forms to TD Ameritrade to officially open the account. Your advisor will ask you questions that help ensure that all of the assets will be transferred properly. Your advisor will then ask for a statement from your current custodian, dated within the past 90 days. Your advisor will make sure that all of your assets are able to be transferred to TD Ameritrade and confirm important account information. Your advisor will also ask you to complete a Transfer of Account form (or other transfer paperwork provided by your current custodian). Your advisor will submit the form to TD Ameritrade for processing once it’s completed, signed, and dated. The paperwork will be reviewed by TD Ameritrade and your transfer will take place. If there are any issues, TD Ameritrade will work with your advisor to resolve them. For more details on this process, review the FAQ. 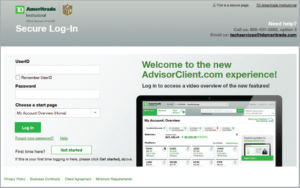 Existing Users: If you already have a TD Ameritrade login you can visit the AdvisorClient.com and login with you information. If you have lost or don’t remember your login information you have to call TD Ameritrade at 1-800-934-6124 and talk to a representative who will help you get back into your account. Due to security concerns there is no way to reset your login information without calling a TD Ameritrade representative. Now that your account is open, you’ll want to be able to view and manage your account online. Once you complete this brief setup, AdvisorClient.com will give you access to your account balances, positions, transaction history, statements, tax documents, and more. Click “Get Started.” Then enter the User ID your advisor provided to you and your ZIP Code. If your advisor has not provided you with a User ID, you may enter your Account Number and your ZIP Code. You can create your own User ID once your identity has been validated. A Security Code will be generated and provided to you via phone or email. Enter the Security Code where indicated. If you would like to have real-time streaming quotes, please visit the UserID Settings page from the Client Services menu, find the Exchange Agreements section, and click the Edit link to the right to sign your Exchange Agreements. You may also be eligible for lower electronic equity trade commissions if you enroll in electronic delivery. Access your accounts anytime, anywhere on your Apple® and Android™ devices with the AdvisorClient® Mobile app. 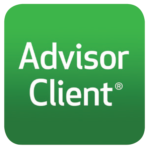 AdvisorClient.com is a secure online environment available to clients of advisors on the TD Ameritrade Institutional platform. 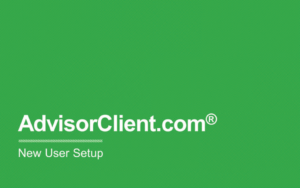 Use the guide below to learn more about the features and functionality of the AdvisorClient.com website. TD Ameritrade is committed to delivering their clients one of the highest levels of security in the industry — at no cost to you. That means they will reimburse you for the cash or shares of securities from your account that are lost as a result of unauthorized activity. TD Ameritrade promises you this protection, which adds to the provisions that already govern your account, in case unauthorized activity ever occurs and we determine it was through no fault of your own. Unauthorized activity does not include actions or transactions undertaken by or at the request of you, your investment advisors or family members, or anyone else whom you have allowed access to your account or to your account information for any purpose, such as trading securities, writing checks or making withdrawals or transfers. 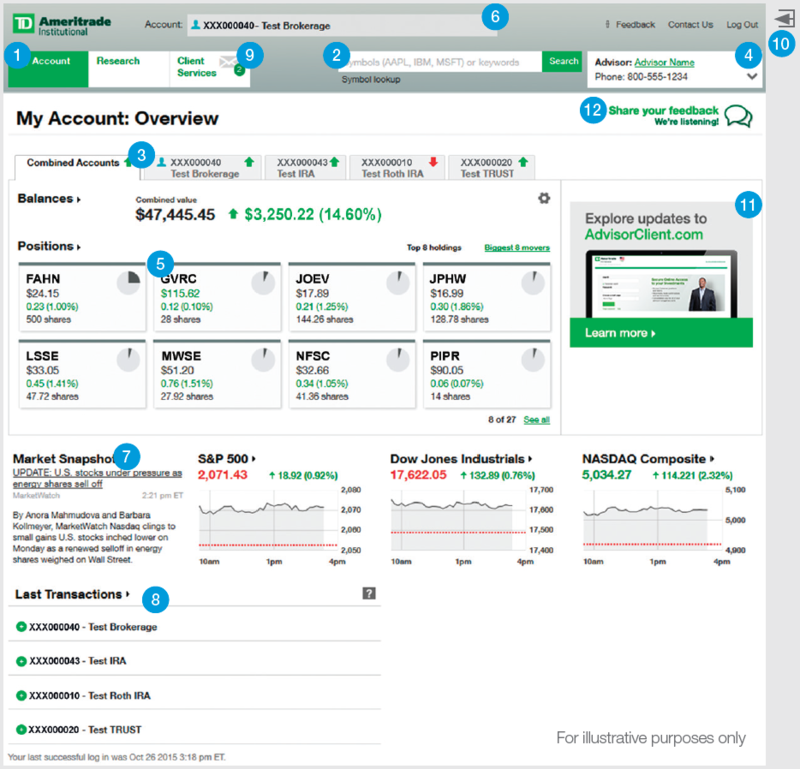 How does the TD Ameritrade Guarantee work? Keep your contact information up-to-date with TD Ameritrade, so that they can contact you in case of suspected fraud. Review your account frequently and your statements promptly and report any suspicious or unauthorized activity to TD Ameritrade immediately in accordance with your Client Agreement. Take the actions TD Ameritrade requests if your account is ever compromised and cooperate with our investigation. If you help TD protect you in these basic ways, they will promise no fine print and no footnotes — just their commitment to protect the assets you entrust to them. TD Ameritrade, Inc. is a member of the Securities Investor Protection Corporation (SIPC). Securities in your account protected up to $500,000. For details, please see www.sipc.org. Additionally, TD Ameritrade provides each client $149.5 million worth of protection for securities and $2 million of protection for cash through supplemental coverage provided by London insurers. In the event of a brokerage insolvency, a client may receive amounts due from the trustee in bankruptcy and then SIPC. Supplemental coverage is paid out after the trustee and SIPC payouts and under such coverage each client is limited to a combined return of $152 million from a trustee, SIPC, and London insurers. The TD Ameritrade supplemental coverage has an aggregate limit of $500 million over all customers. This policy provides coverage following brokerage insolvency and does not protect against loss in market value of the securities. If you have any questions, call your advisor or TD Ameritrade Institutional at 800-431-3500. To learn more about SIPC coverage, go to www.sipc.org. For more information about FDIC deposit insurance, visit www.fdic.gov. Experience one of the highest levels of security in the industry. This security guarantee extends to the cash or shares of securities in your account. In the event of unauthorized activity, TD Ameritrade will reimburse you for the cash or shares of securities you lose. Certificates of Deposit are FDIC insured, and securities are protected by SIPC.